I read a pretty positive review of this album that likened it to some 90's indie rock that I was a fan of. The fact that the record was put together by Joe Plummer, a man who played drums for The Shins, Modest Mouse, Black Heart Procession and more didn't really weigh into the decision to pick this up. After all, he's the drummer, it could sound like anything. At the time I decided to purchase this, I was able to listen to the lead track "Honeybear." After hearing that first song, I figured this would be a worthwhile pick up. It had an upbeat, but still somewhat jangley and sloppy vibe to it. A little Pavement and little Built To Spill. I also found out that there had been a limited amount of colored vinyl, which I had missed out on. That only made me want it more. I kept on looking for it and checking around and finally one popped up on Discogs and essentially no mark up at all. I immediately grabbed it. After several spins of the entire album, I think I've ended up pretty let down by it. The first song "Honey Bear" is still pretty good as are the next two "V" and "1313." They're not quite as good, but they're alright. After that, this album is just all downhill for me, starting with the fourth song "Due To Rain." I can't say I'm even sure how to describe it, but if you like whining, yelping vocals over slow drumming and an odd psuedo-funk bass line, then this songs for you. Built In Sun never really recovers after that song. Sure there are a couple of songs that are OK, but at best they sound like low rent Three Mile Pilot songs. 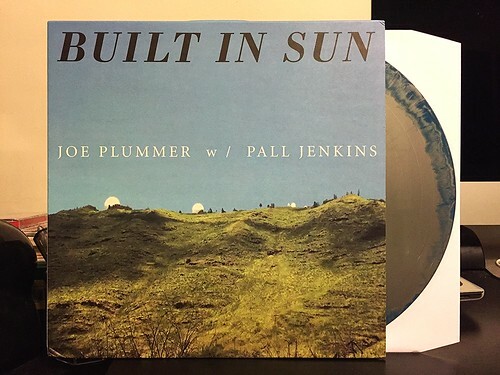 It's an below average record with a handful of songs worth a spin, but Built In Sun just isn't consistent enough to pick up if you ask me.